After high school, Williams enlisted in the U.S. Navy. Starring on the Naval football squad, he was named to the All-Military Service Team two times during his four years of active duty. After his discharge from the Navy, Williams enrolled at MSU and immediately demonstrated his abilities. During his sophomore season, based upon his effectiveness as a service ball player, the Los Angeles Rams thought enough of him to name Sam as their 24th round choice in the 1956 NFL player draft, despite the fact he would not be available until 1959. All-Big Ten – 1957, 1958. Most Valuable Lineman – 1958 East/West Shrine Game. 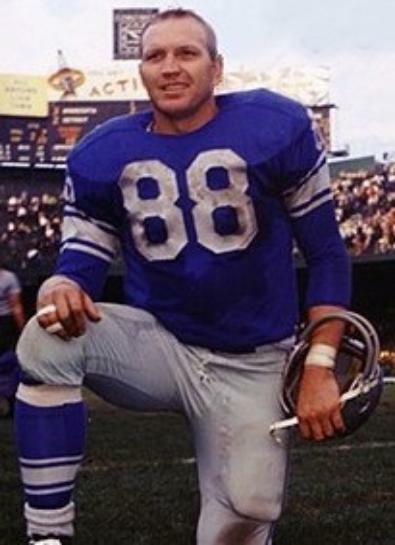 Sam played nine seasons in the National Football League (NFL) starting with the Rams in 1959. In 1960, Williams was traded to the Detroit Lions (1960-1965) where he became part of the “Fearsome Foursome” defensive line with Alex Karras, Roger Brown and Darris McCord. Williams played his final two seasons in the NFL with the expansion Atlanta Falcons in 1966 and 1967.